Statistics provided by the National Association of Realtors indicated that nine out of ten For Sale by Owners (FSBOs) are unsuccessful in selling their properties themselves. The average FBSO will try to market their property for four to six weeks. If at the end of that time they have been unsuccessful finding a buyer, they typically choose to list their property with a Realtor. The recent active market has seen an increase in FSBOs in most markets across the country. The FSBO is a great prospecting source as we know they have a need for our service. Often, it is a matter of building a relationship with the property owner and waiting for the timing to be right. However, building that relationship requires skill, technique and patience. Meeting with a FSBO is not your typical listing appointment meeting. 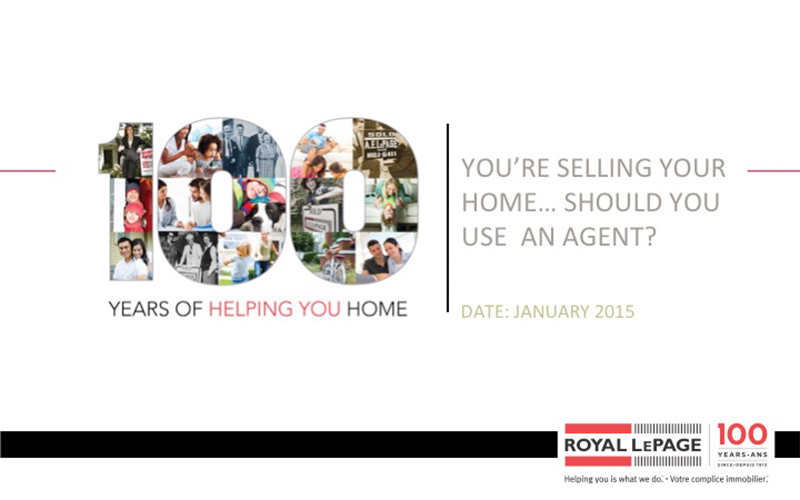 Royal LePage has developed a FSBO System to help you successfully list more FSBOs. The system consists of two components. The first part of the system is a marketing component. This contains several generic marketing pieces that you can use to drop off to the FSBO and provide them with additional information on the marketing and sales process. This is part of the relationship building stage. The second component is a PowerPoint presentation for you to use when you get face to face with the FSBO and want to demonstrate the value a Realtor can offer while educating them on the sales process. This presentation is different from your standard listing presentation that highlights you and your services. Both components of the FSBO system are completely customizable by you. Good luck converting those FSBO’s into new listings!